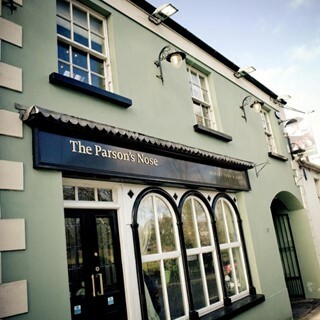 The Parson’s Nose. Yes, our name draws many wry comments and may imply a certain light–heartedness on our part. But believe this – when it comes to delivering great pub food, we’re utterly serious. But then again, you’d expect nothing less from the team that is also behind the landmark Balloo House in Killinchy. 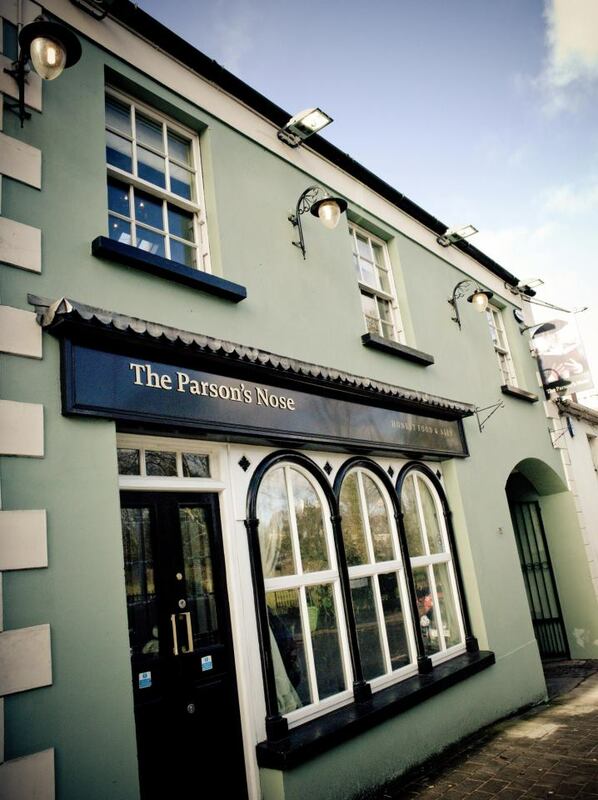 And just like Balloo House, The Parson’s Nose comes with a pedigree that’s melded into the very fabric of the building. Built by the first Marquis of Downshire in the late 1700s, this simple yet elegant Georgian townhouse has today been transformed into a characterful and charming dining pub. Disappointing experience. Steak ordered well done came rare had to be sent back- the rest of the tables food went cold waiting for it to be cooked, ruined the experience. The wrong sides also came and had to wait again for them to be fixed. Took the taste of a special family event especially as no effort was made to make up for this. Was then told they needed the table back, despite us all having to all wait to eat due to the restaurant's errors. Also ordered 3 coffees which never arrived. The food was however excellent. Coming from a catering background the whole situation could have been much better dealt with, mistakes happen, but customer service should have been much better. Service was excellent, food was very good, kids meal good value. Tasty food however the menu was heavily reliant on red meat. Only 1 chicken dish. The Vegan option was limited and the portion small and pricey for what was served. Think they could be more imaginative than serve plain ice cream as the only vegan dessert. Food tasted good and dishes were well executed and high quality. But mains were lukewarm when they arrived. Pint of beer had something floating in it. Seats near the large doors meant we were frozen when the door opened but staff did move us quickly when we asked and they were friendly and helpful. A few small annoyances but the food is good and we will return. Service was a bit slow but it was Mothers Day and the restaurant was very busy. Felt the whole experience was incredibly rushed, particularly after having to wait 15 mins for our table. Never like having a roast in a restaurant particularly on mother’s day- no one can do a roast like their mother. We must have left over half of it on the plate as it was tasteless. The only decent thing was the gravy. Sadly there wasn’t many other options on the menu. We were here for my wife's birthday and we were delighted with our meal the service was really good and the staff were very friendly. It was our first visit but will definitely be back. Was slightly disappointed that on mother’s day there was only one menu which was a set 3 courses as I wasn’t told this when I booked. Also there was no price to have only 1 or 2 courses so you felt like you had to have all 3 to get your money’s worth! Next time I would consider booking somewhere else with more flexibility on the food as the children’s menu is that great either. The table we were given was right at the kitchen area when there appeared to be available seats elsewhere. This would maybe not normally be an issue but as it was mother’s day and there was a problem with the fire alarm there was a lot of traffic going past the table. The fire alarm was extremely annoying and I had to ask what it was as it was very disturbing. These issues led to the food being quite late. We also noticed that the portions could be quite disproportionate with some other dinners and even amongst our own party and were we would normally struggle to complete a 3 course meal we left hungry. The food, drink and service were exemplary. Excellent service. Great menu could do with a cheese board, thats me being fussy. Would recommend highly and will be back. Excellent service, excellent food, regular customer, love it, well done. Iv ate here on several occasions. On my last booking my order was submitted wrong, this was rectified with a dish swimming in water. This water ruined everything on plate. I did ask mid way about it but was told it was jue. Because of the delay in making my dish my partners dish was kept warm and his hake was then tough. We were compensated by free deserts. My stars reflect my experience on the night. Unfortunately it wasn’t up to the usual standards. Olivia was really lovely, relaxed and very helpful. A great waitress. Great sense of humour. Thank you. Fantastic meal, top class!!! Very impressed. Had slow cooked beef ribs - melt in the mouth, WOW!!! Definitely recommend.